Red and green may be the traditional colors of Christmas, but why not try something different? 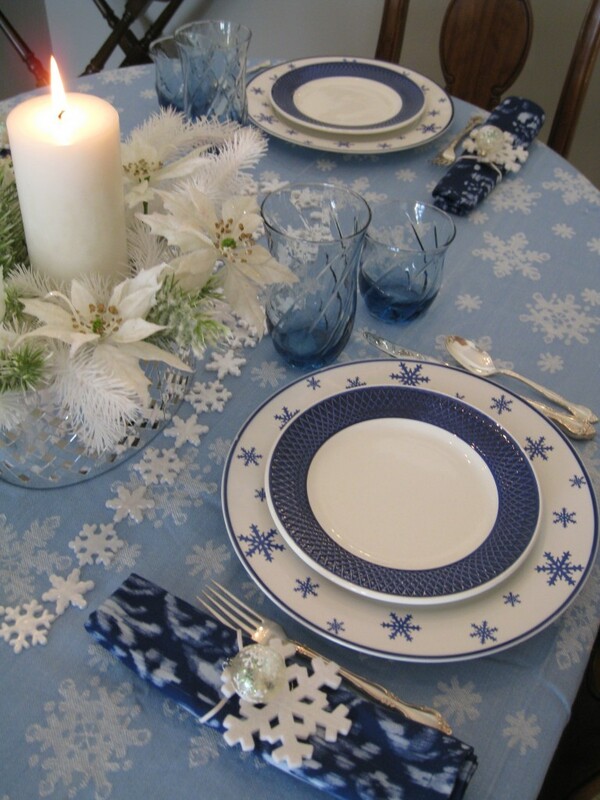 Blue and white are perfect for a Hanukkah meal or New Year’s Eve late night dinner as well as Christmas brunch. I'm dreaming of a white Christmas right at my table. 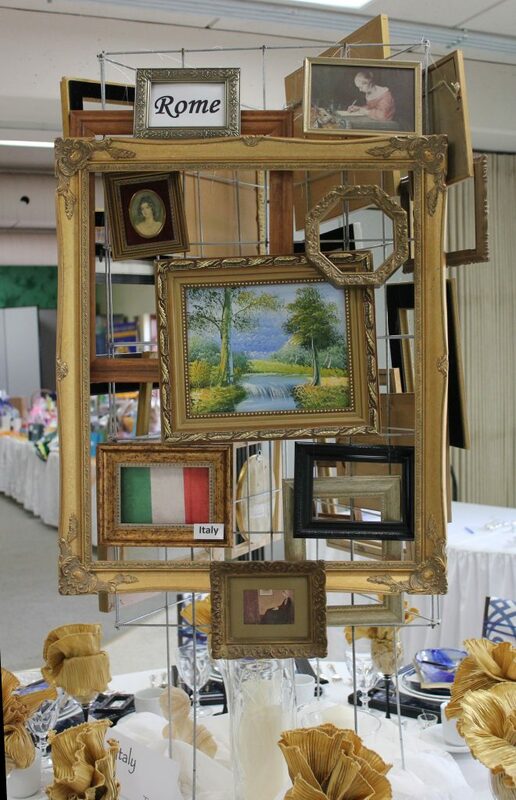 This would be a fun setting for a Hanukkah table. 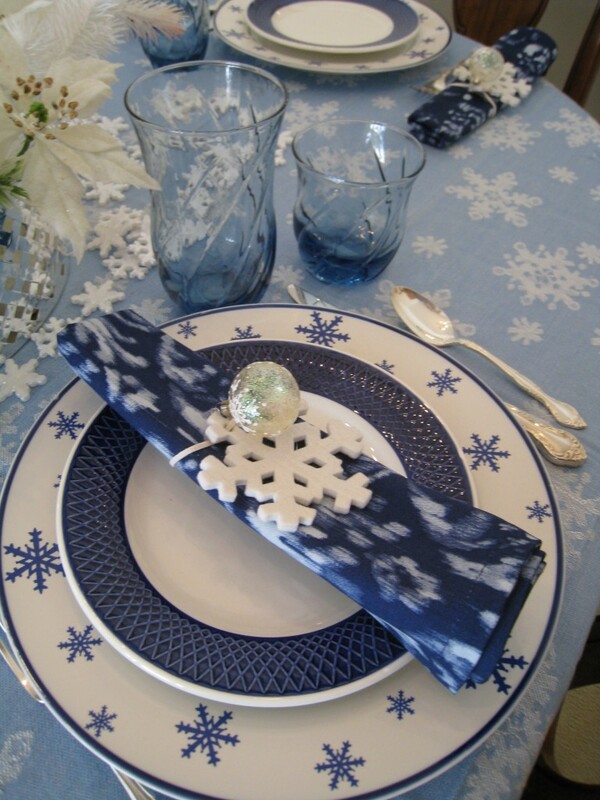 Start with at pale blue snow flake table cloth. 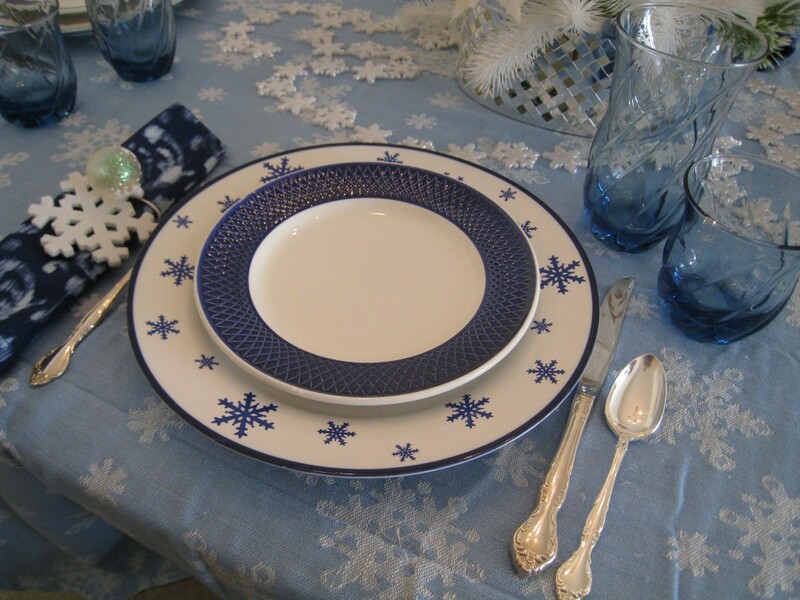 Add snowflake dinner plates and a salad plate or soup bowl in a coordinating pattern. 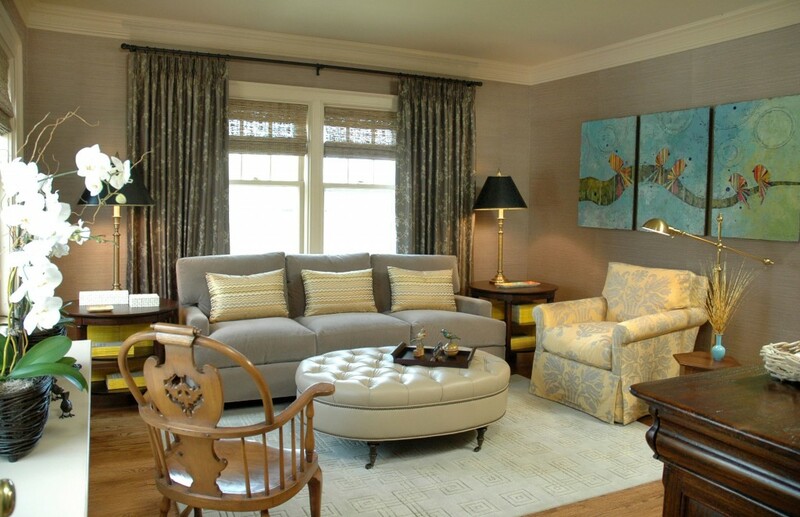 Keep the monochromatic scheme going with blue glasses. Let your guests take home the snowflake and little ornament as a memento. 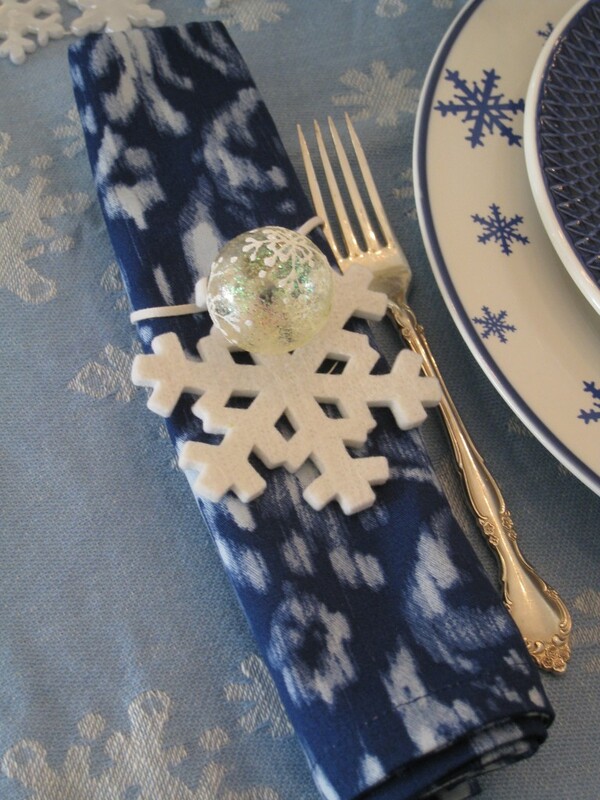 The napkin is an ikat design tied with a snowflake and little ornament. I love to incorporate little gifts for my guests at the table. They can take them home as a remembrance of a lovely time. Or you can set the napkin on the plate for a different look. 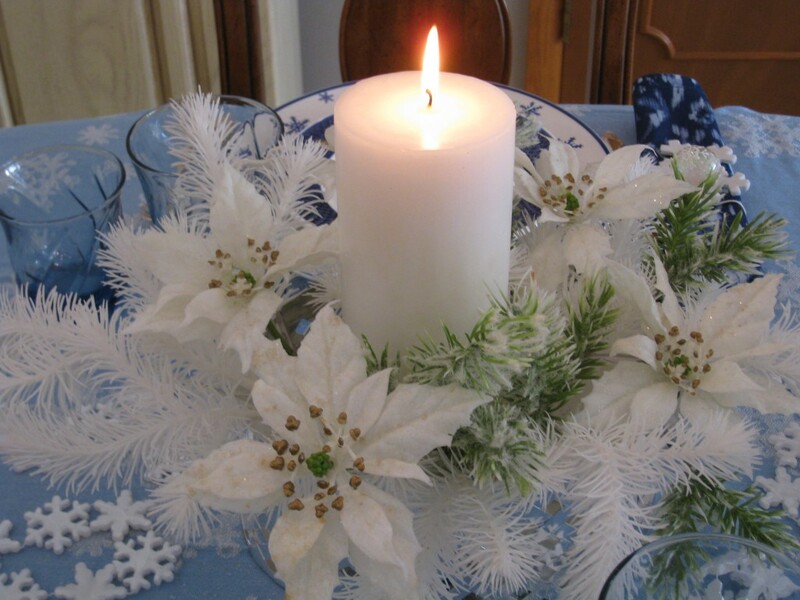 The centerpiece has white pine and poinsettias, but giant snowflakes or paper whites would work too. Just stick with blue and white. A sparkly garland looks just as festive on the table as it would on a tree. Enjoy your holiday by sharing your time, your table and a meal with family and friends. It doesn’t get any better than that! I like that..I feel frosty and toasty all at the same time. I am very happy to see you displaying other colors, for in so many spaces…the traditional red and green just seems a bit out of place! Hey wait a minute- I thought I WAS THE CHRISTMAS QUEEN-my family calls me Mrs. Claus. I guess you can be the mid west Christmas Queen and I’ll take the Northwest. I love all your ideas and miss your smiling face. Hi to everyone. It’s a deal! You are crowned Christmas Queen of the Northwest and I get the Mid West title! I miss you too! I greatlyenjoyed reading your post! I adore mostthings antiques, but in particularly engagement rings.